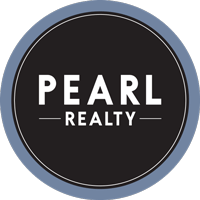 David Patterson is the director of Pearl Property Management (PPM)– a division of Pearl Realty. It was a natural move to offer property management to our already diverse clientele. Whether our clients entrust us with their short-term rentals, such as vacation rentals, long-term rentals or seasonal and vacant-home properties, the mission of our service-based management company is to maximize our clients’ assets and protect the owners by selecting the highest caliber tenants. Patterson joined PPM in May of 2018 and has systematically developed a management company that is unique. Instead of focusing on the number of doors we manage and getting as many as possible, we focus on the customer and client experience. Through the use of cutting-edge technology and analytics, we are able to consistently outperform the market average and deliver a high level of customer service. "Communication is key. Every owner and tenant has my personal cell phone number, they know they can call me at any time; and most importantly, this commitment to excellence helps us with protecting our clients' biggest investments." David is the first certified Vacation Rental Manager in the State of Idaho. This Vacation Rental Management (VRMA) Certificate Program is the gold standard. It assures guests and property owners that these managers have demonstrated a standard of excellence in the vacation rental industry. David was born and raised in Portland, Oregon and studied finance and marketing at the University of Oregon. In his free time, you'll find David outdoors spending time with his two boys and his wife, Lindsay. Oh, and if you feel daring, challenge him to a game of ping pong or pickleball.